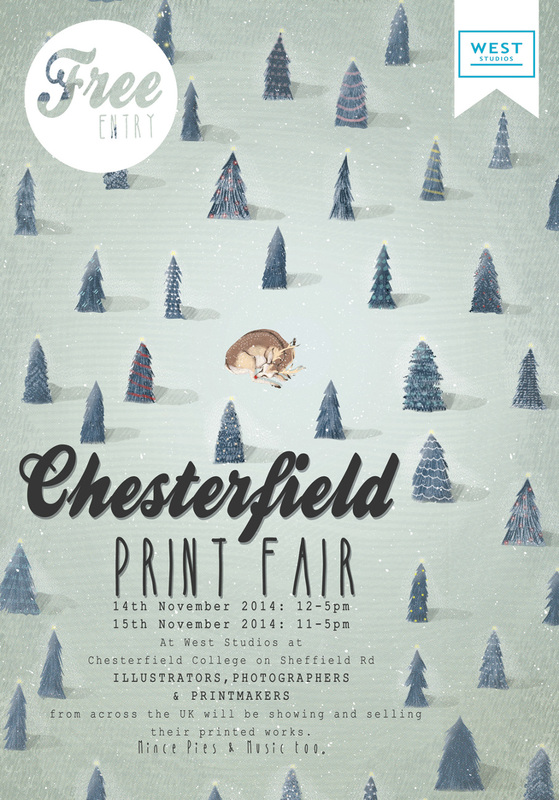 Excited to announce that I will be a stall holder and selling my wares at the next Chesterfield Print Fair! I will be selling gifts, greeting cards and prints all day on Saturday 15th November. I will also be selling my new range of Christmas cards, wrapping paper and tags. Christmas card packs will be available on the day. Take a look at my Etsy shop for a preview of the current stock that will be available on the day!